Tourists visiting France will almost always be drawn to the typical hot-spots. Paris, the Cote d’Azur, Lyon, the French Alps and the Dordogne – you name it, you’ve probably considered it. But it’s about time that we switched things up a bit and considered somewhere completely different – off-the-cuff and not swarming with Brits abroad. We know just the place, in fact, we’ve been holding onto this morsel for a while, so it’s only fair we let you in on France’s best-kept secret. 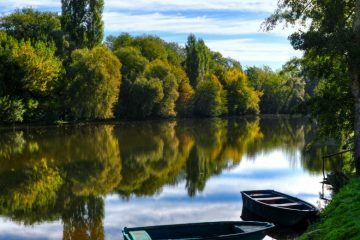 Yes, the title may have given it away, but we’re talking about Vendee and Poitou-Charentes, unmissable regions in western France. Though not considered polar opposites, there are a few things you should know that separate the two. Let’s kick things off with Vendee, which is known for its coastline and sandy beaches. The beaches make a pretty edition, but don’t fall into the trap of assuming year-round sunshine and balmy waters. 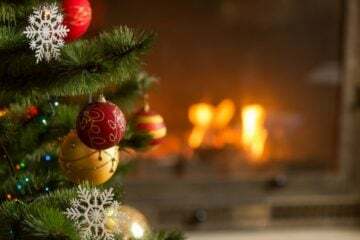 In the hottest months of July and August, the average temperature ranges between the high teens and mid-20s, which is perfect as it rarely gets too hot for comfort. The region is best explored by foot, but a bike ride is also a great shout. From the festivals and restaurants to the epic Puy du Fou theme park, the region is bursting at the seams with things to do. And then there’s Poitou-Charentes, which is ideal for those who favour inland territory. 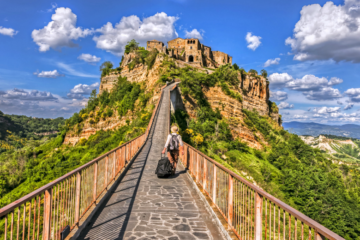 The region is dotted with ancient water mills, picturesque villages and sleepy towns. But best of all, the region is always known as Cognac country, so if you fancy a tipple, you’ll be in very safe hands. Differences aside, there’s no questioning that both make fabulous destinations for families. This won’t be the go-to for party animals, but travellers looking to discover a magical part of France that remains virtually untouched will be immensely pleased. To make planning your trip all the easier, we’ve made a map highlighting the very best things to do in the regions. You can filter the map by using the left icon and find everything from family activities, foodie highlights and more. We’ve even broken it down into our favourites further below. Happy reading! 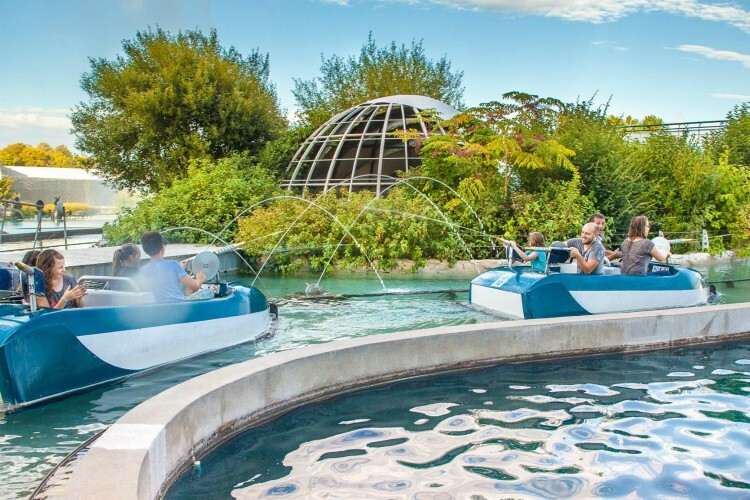 Think Disney euphoria meets high-tech attractions with futuristic architecture and you’ve got Futuroscope – the must-visit place of Poitou. France’s first ever theme park has since hosted a whopping 44 million visitors, so it only makes sense to grab a slice of the action. 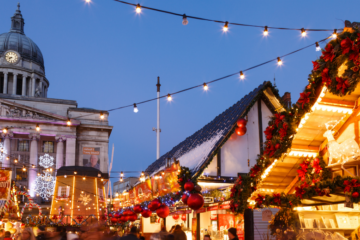 Soak up the atmosphere with over 25 original experiences that include a mix of thrills, fairy-tale shows, heart-thumping adventures and a big dollop of magic. 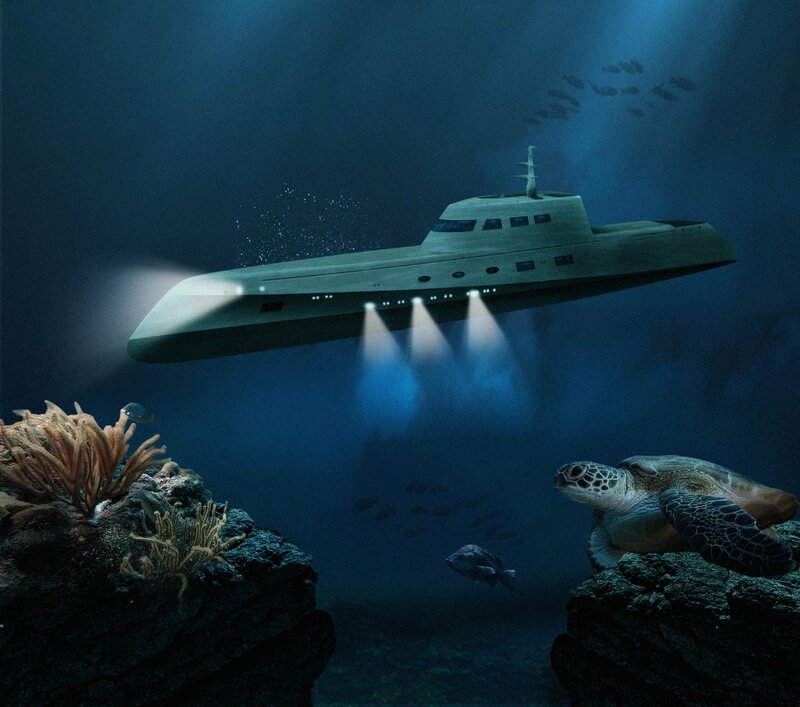 The kids will go gaga over every last detail, but the adults are sure to lap up the elation alongside them. Futuroscope really has all the fixings for a fun-loving family day out, so it would be a real shame to miss out. We have Little Red Riding Hood to thank for painting wolves as fear-inducing, granny-snatching beasts, but the reality couldn’t be further from the truth. Knocking perception on its head is the Loups de Chabrières animal park, where visitors can get close enough to one of the world’s most fascinating predators. In the heart of this wonderfully perplex nature reserve, let yourself be guided to wild places. A shaded circuit allows you to discover the wolf for all its glory; up above the wooden battlements you can observe their everyday routine, from bathing to feeding, from growls to cuddles, your heart is sure to beat with a flurry of excitement. And who knows, you might even lock eyes with one of them – wouldn’t that be something. 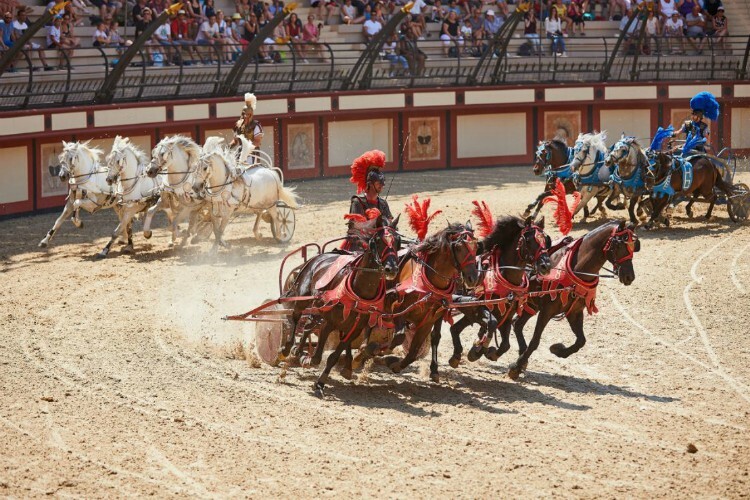 With never-ending ebbs and flows into modern technology, it’s only fitting to step back in time and forget all about the 21st century at Puy du Fou. Voted the world’s best park, there’s a multitude of great shows and adventures for the whole family. From their live-action Viking show to the Roman circus – education is still at the forefront, it’s just executed with a barrel of fun that everyone can enjoy. No snooze fests here, that’s for sure! And that’s before we’ve even touched on the finale, also known as the Cinéscénie. Seen by over 12 million spectators, the almost 2-hour show encompasses 2,000 actors spread over 23 hectares. The show is Le Puy du Fou’s showstopper for obvious reasons, but the new lighting effects, 3D projections and added scenes have really kicked things up a notch. Aren’t water parks virtually all the same? Lazy rivers, a couple of slides and if you’re lucky they’ll even have a wave pool. WRONG, I mean that might be what you’re used to, but the Gliss-UP Water Jump Parc is anything but ordinary. The water park is composed of 14 different tracks, similar to ski slopes and range from 5-12 metres high. This really isn’t for the faint-hearted. But if your family has an up and at em’ attitude then this is a match made in water park heaven. Clammy palms are on the agenda, but with a fearless spirit and a dose of adrenaline, you’ll be soaring to new heights in no time. Are you up for the challenge? If you’re keen to get your hands on even more fun, just take a look at our map for more family delights including zoos, aquariums, more water parks and other attractions. Dyades is the beating heart of luxe-hotel Domaine des Etangs, so buckle up and cleanse your palette because you’re about to embark on a journey of the senses. The Michelin starred gourmet restaurant is inspired by the dyad, the marriage of two complementary ideas and principles. A balance that eloquently transcends onto the plate, from the John Dory roasted over charcoal to the moreish braised chicken legs with sautéed mushrooms, the flavours are both exceptional and completing. 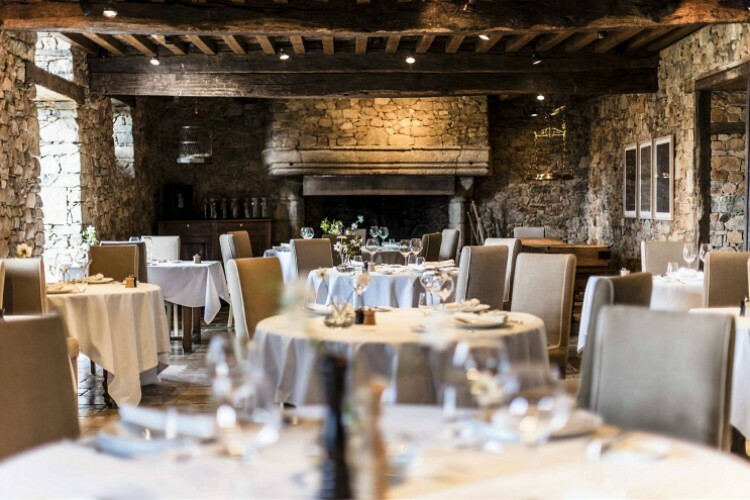 Food aside, it’s not hard to understand the restaurant’s appeal, between the grandeur of its stone walls, the intriguing landscape created by Caroline Corbasson’s graphic art, to the outside views of the rolling countryside, the Dyades offers an unforgettable culinary experience. 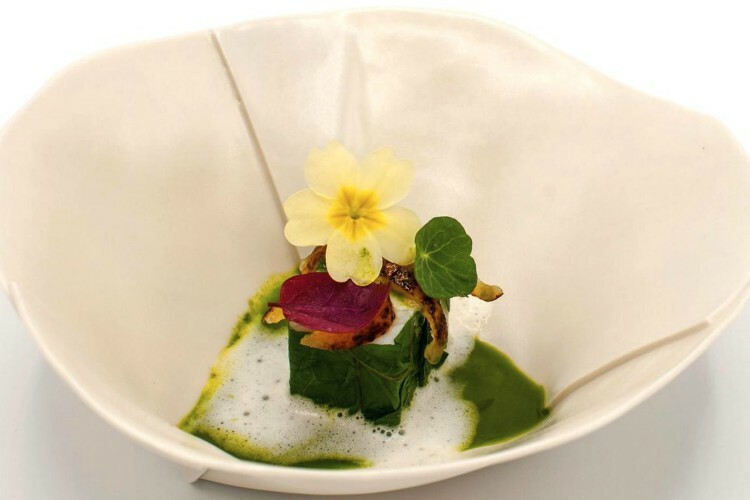 Fine dining is all well and good, but what makes L’Aquarelle so unique is chef Xavier Taffart. The heart and backbone of L’Aquarelle, the restaurant tells his story of arriving in full maturity. The menu screams a breath of fresh air – the tasting menu retailing at 85pp is a great introduction to his flavours. The menu includes Jerusalem artichokes, light cream of celery and roasted veal sweetbread (among much more). Granted, the food will have you salivating but the price – maybe not so much. Don’t worry, if you’re looking to cut back on the cost, there’s still a tonne to order from the a la carte menu that will still deliver the same punch of flavour. 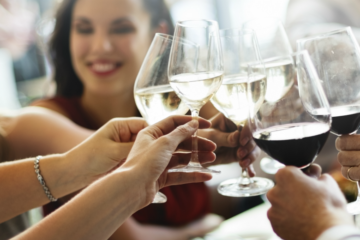 France is famed for its delectable food, but where there is food, is even better wine. And there’s no better vineyard to discover some of France’s finest grapes than Vignobles Mourat. The Mourat name has been associated with wine since the 19th century and it has paved their long road to success ever since. Here you’ll find no slate roofs, or cellars dug in the tufa – instead, the red and white wines are aged in oak barrels, whilst the rosé is aged in steel vats. It’s a rarity to come across a glass of wine that feels special in its own right. And since the family know a trick or two when it comes to vin, you can bet your life that you’ll be leaving with a bottle or two. 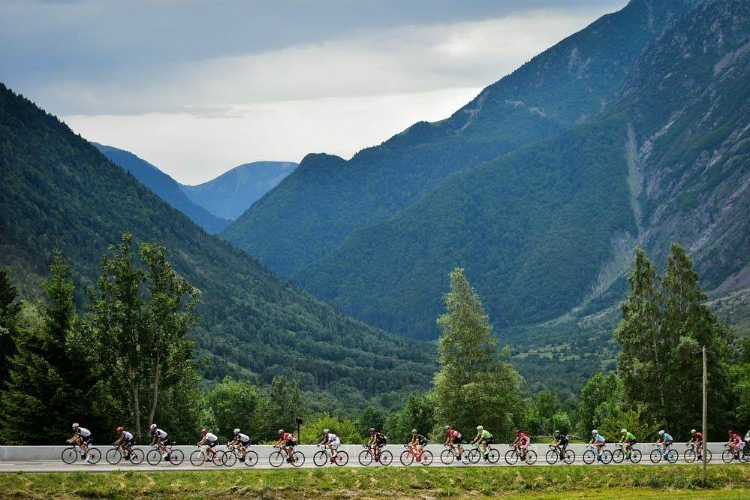 The Tour de France, the most prestigious and gruelling pro cycling event of the year. 2018 will mark its 105th edition which will commence in the Vendee region, on the 7th July. Those with athletism pumping through their veins will get a real thrill waving the pros off into their 3-week quest. And that’s not all, just two days later the team time-trial will take place in Cholet. 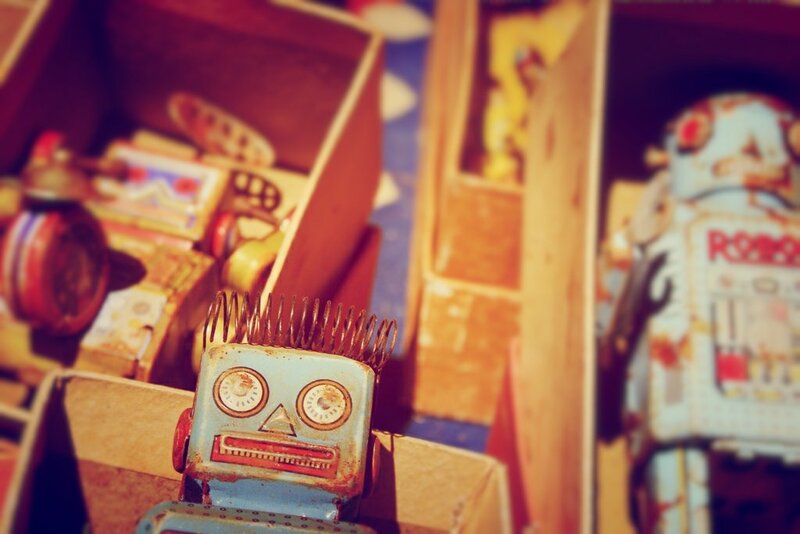 It’ll be the first significant showdown, which will set the pace for the followings weeks. This particular course will require riders to change speed several times – making it anyone’s game and all to play for. Vendee, Poitou et Charente is home to 17 golf courses, so while you might not fancy your odds against some of the locals, there’s plenty opportunity to perfect your putty on holiday. And while I’d love to list them off one by one, our nifty map will guide you in the right direction. Have a nosey through to see which course tickles your golf club! Who would have thought eh? But let me quickly iron out any doubts – I’m not talking Croatian/Ibian style festivals, so you can breathe a sigh of relief. 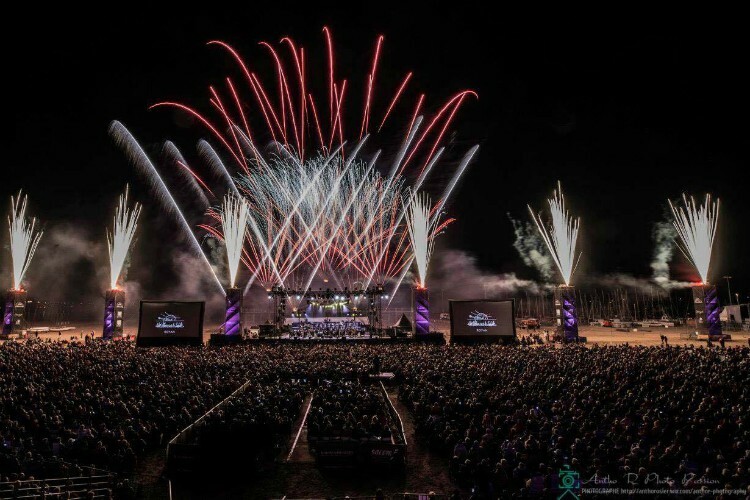 First, there’s the Violon sur le Sable, a classical music festival that takes place on the beach of Royan and can take up to 50,000 people under the starry sky. Then there’s the International Comics Festival, which so happens to be the second largest in Europe, and there’s also Les Francofolies de La Rochelle, an annual music festival typically held in July, with aims at promoting francophone music. Whichever you’re around for, make sure to check at least one festival out. Tucked away among delightful sunflower fields and vineyards is La Maison Des Fleurs. 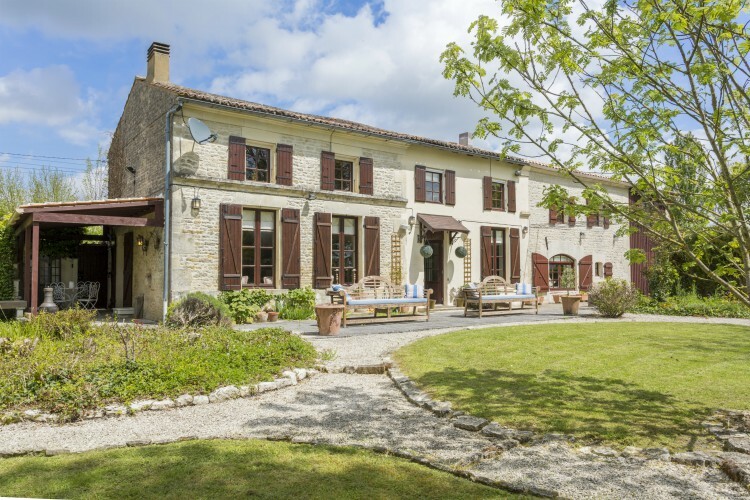 This gorgeous farmhouse is in the picturesque Charentes-Maritime region, which is ideal to get away from it all, yet still close enough to a plethora of attractions. In what guests describe as a home-away-from-home, La Maison Des Fleurs has perfected the quintessential balance. 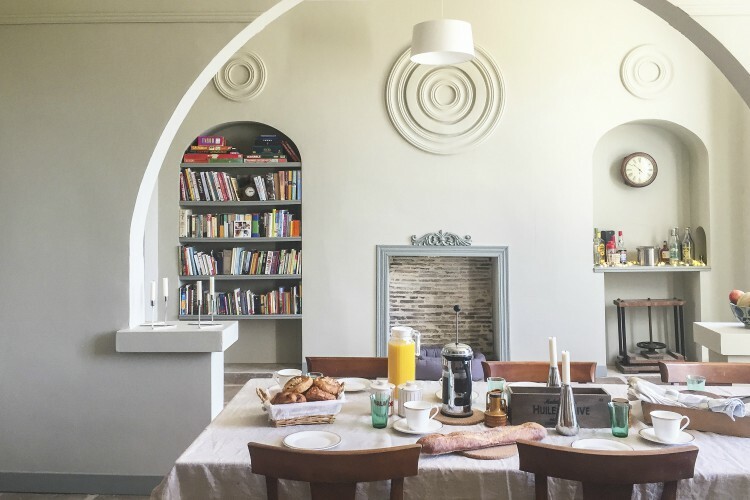 Recently renovated, this 10-guest sleeper has style and substance, appealing to all ages who want to kick back and explore the enchanting region – which so happens to boast pretty Atlantic beaches, music festivals, Cognac distillers and much more. A taste of rural Charente is precisely what the doctored ordered. And there’s no better fixing than a stay at Maison Charente. Granted, rest is definitely on the cards but this stone hamlet has more than its modern and ultra-cosy interiors to entice our guests. 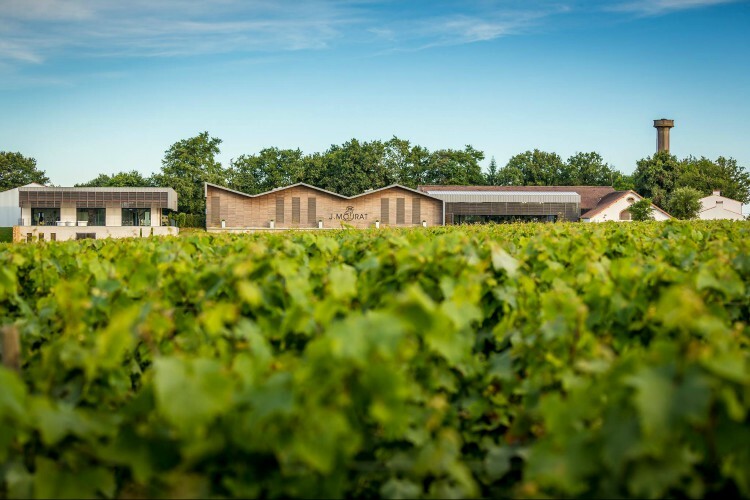 For starters, there’s the nearby village of Ruffec to discover, possible day trips to Bordeaux and Saint Emilion and an array of to-dos; from riverboat trips, WW2 and Roman sites, festivals and more – you’ll be full to the brim with activities. And after a tiresome day, retreat home and fire up the BBQ, before sipping aperitifs all evening long. This beauty is the result of a wholesome couple that wants to change the lives of others. A haven where holidays and health intertwine, guests are treated to the dynamic countryside where the focus is entirely on them and letting every ache, pain and stress disappear. The owners have ensured that the house is decked in the best furniture, linens and mod cons, with ample space for everyone to unwind. But that’s not even the best part. The historic surrounding area is a real showstopper, peppered with beautiful rivers, markets and festivals all summer long! Our villas in Vendee and Poitou-Charentes strike the perfect balance of coastal and rural holidays. For more info ask our concierge team for a recommendation!